University of California entomologists in Riverside California have discovered evidence that selenium can disrupt not only the behavior of honeybees, but also threaten the survival of them. This is a chemical element, which is nonmetal in nature. Selenium is needed in not only insects, but also in humans for natural development but only in small concentrations. It can be toxic in higher levels as it takes the place of the sulfur in the amino acids. It can appear in soil as selenate, a soluble form of it, especially in the Pacific Rim areas or near plants powered by coal. Curious as to the effect selenium levels of plants could have on the honeybees an entomology professor, John T. Trumble, and one of his graduate students, Kristen R. Hladun held greenhouse experiments under controlled circumstances that included recording amounts of selenium in weedy radish, two types of mustard plants. In addition, they looked at how it is contained in these plants' pollen and nectar once irrigated with the selenium. Then honeybees were allowed to intermingle with the plants. Trumble and Hladun discovered the bees fed on the flowers that even had high volumes of selenium. The bees do not attempt to stay away from selenium for the most parts unless the concentrations are extremely high according to Trumble. The irrigation water used in the study was in two levels both of which were lower than what the US authorities consider a concern. Hladum stated that they found even with these low levels that the weedy radish produced high levels of selenium in the pollen and nectar. In spite of this much selenium that honeybees would still not stay away. The research also discovered that bees in the lab that were fed the selenate were not as responsive to sucrose and other sugar. "The selenium interfered with their sucrose response," Hladun stated, "Such bees would be less likely to recruit bees to forage because they wouldn't be stimulated to communicate information about sucrose availability to the sister bees." The lifespan of the forager honeybees that were fed moderate amounts of selenium over several days was also studied. Trumble and Hladun discovered that the bees died much earlier. Both these researchers admit that more field tests are needed to backup their findings in the lab, because the honeybees having less of a response to the sugar could reduce floral resources required for the larvae and coworker bees. Some preliminary field research found some of the foragers would carry pollen away from the radish plants containing high level of selenium leading them to believe the bees will not avoid selenium when feeding, and this could lead to problems. 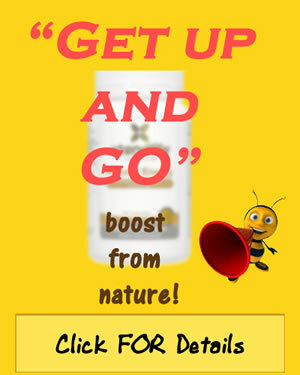 What is the Link between Bee Pollen and Hepatitis?